Do you want to meet people from a particular place on Omegle? We are going to give you some tips for meeting with people from particular countries, cities, places and regions on this page. So you will able meet with targeted strangers on the website easily. You don’t need to use any program or code for this service. May be you will need a new Facebook account if you have many page likes. You can also use your existing account if you didn’t like too many pages. You can still create a new account for talking to strangers on Omegle. Let’s begin to tell you how to meet people from a country, city or region on the website. If you would like to chat people from a particular country on Omegle, you will need a clean (without page likes) or new Facebook account. 1-) Firstly we recommend you to get a new account from Facebook. 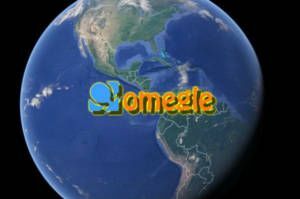 2-) Then decide about which countries (or country) you prefer to meet on Omegle. Note: Adding some state names are recommended. After you search one of these keywords on Facebook, like all pages which is related with the city. After you are done with page likes on Facebook, please go to Omegle and enable Facebook likes and begin to chat with strangers. Birmingham, Walsall, Wolverhampton, Coventry, Kidderminster, Tamworth, Rugby, Nuneaton, Hinckley, Worcester, West Bromwich, Redditch, Warwick, Rugby, Leicester, Stafford. Search all these keywords on Facebook and like all pages which are related with these cities. Then go to Omegle and enable Facebook likes. Please not that: Adding crowded cities is better way to meet strangers. Otherwise you will meet strangers hardly based on your interests. If you are looking for strangers who are living in a particular region, continent or places, you should get more information on these places first. We will tell this step for you with another example. You will also need to translate country names and city names to original names. Let’s tell it with our example. Eg 1: I would like to meet people only from Scandinavia on Omegle. You need to search for Scandinavian countries first. These countries are Norway, Sweden, Denmark, Finland and Iceland. You can find these countries original names in Wikipedia. These will be important keywords for you when you are searching them on Facebook for page likes. If you want to meet more people we recommend you to seek for more details about this countries and like their city pages on Facebook. We have given you example just above for meet people from cities. You will see the header if you scroll up. So basically you will need to search these keywords and like their page with your new Facebook account: Norway, Norge, Noreg, Sweden, Sverige, Denmark, Danmark, Finland, Suomi, Iceland and Ísland. If you want to meet more strangers we recommend you to add cities of these countries. If you would like to meet only people from Europe, your list is going to be huge, so you can limit that with a few options. You can do similar strategy for meeting people from continents, places and regions of the world. If you would like to chat people, Omegle is a good service to do that. Hi! I am man searching for a woman… Thankful to you if you believe me. I am an indian & i want to chat with a Russia or European girl who known to English. ….